A Saturday morning fire damaged or destroyed 16 units in a SW Houston apartment complex. HOUSTON (KTRK) -- The Red Cross is helping take care of families burned out of 16 units after an apartment fire on the southwest side early Saturday. Most of them lost everything. "I saw the fire through the sky. It was completely black and the roof was in flames," Arlett Lores recalled. Just two weeks until Christmas, and families were scrambling to get what they could in the morning fire. One resident said, "I got my brothers stuff and put it in the car." 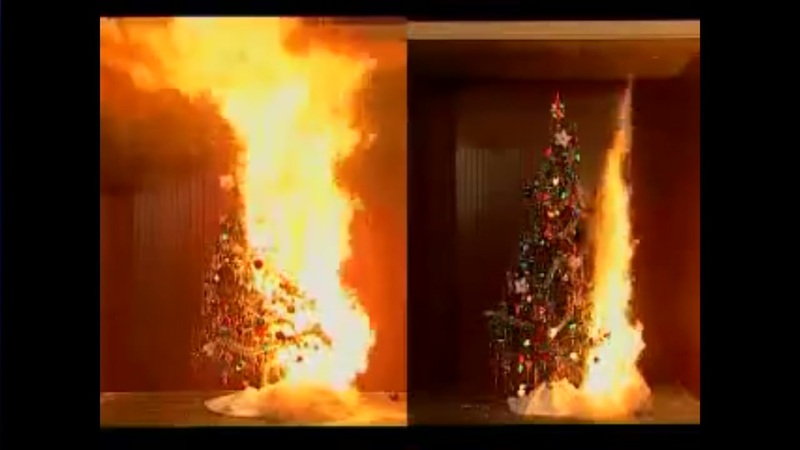 In the event of a fire, keeping your Christmas tree watered can make a world of difference. The fire spread quickly at the Pier Club Apartments. There wasn't much time to do anything but get out with loved ones. "We were inside the house and fixing my children food then I saw the smoke coming," Victim Hajja Kroma said. Firefighters say they pulled additional alarms due to the intensity of the fire and scary moments when a mayday was called from one working inside. "Everyone was very concerned, we thought we had a lost firefighter. Our accountability system was able to locate that firefighter, do an accountability report and we have no injuries," Sr. Captain Ruy Lozano with the Houston Fire Department said. The cause of the fire is still under investigation. This time of year especially, firefighters will look for any heating devices that may have malfunctioned or were too confined during use. The Red Cross helped keep victims warm who lost their homes and, in some cases, everything they own and will now be starting over.